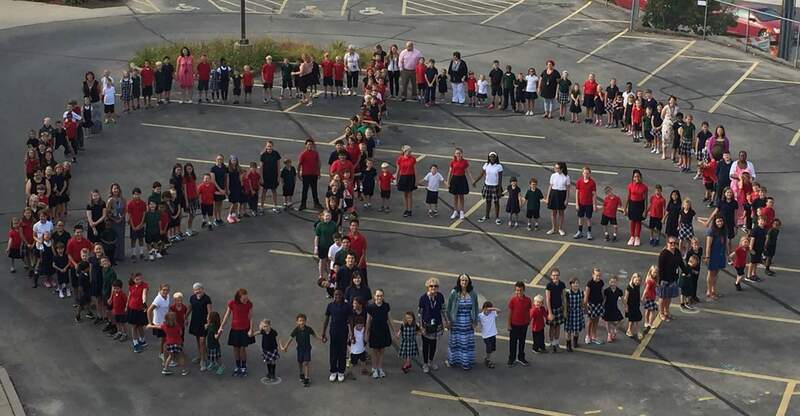 On Thursday, September 21, 2017 Wauwatosa Catholic School students, teachers and staff celebrated the International Day of Peace with many other IB Schools around the country and world. World Peace Day is meant to be a day to strengthen the ideals of peace among nations and to consider how to create a more peaceful, non-violent world. Additional information and photos coming soon! The International Baccalaureate Primary Years Programme (IB PYP) is designed for students aged 3 to 12. It focuses on the development of the whole child as an inquirer, both in the classroom and in the world outside. It is a framework guided by six transdisciplinary themes of global significance, explored using knowledge and skills derived from six subject areas, as well as transdisciplinary skills, with a powerful emphasis on inquiry. These themes are selected for their relevance to the real world. They are described as transdisciplinary because they focus on the issues that go across subject areas and help teachers to develop a program of inquiry. Teachers work together to develop investigations into important ideas, which require substantial and high level of involvement on the part of the students.